THE VIEW WALKING DOWN the access road away from Hitler’s mountain home was even more spectacular than it had been driving up. With the sun high and the air crystal clear, Mattie could see their destination of the village square in Berchtesgaden several miles below while above and around them towered the snow-covered mountain peaks of the Obersalzburg. She took several photos of the scenery in all directions. Hitler had reclaimed his Alsatian Blondi who walked obediently without a leash several yards in front of Hitler. She was once again struck by the lack of security. Anyone could be waiting in ambush in one of the nearby chalets or around the next bend in the road and his two SS guards, who were a good fifty yards behind them to afford their Führer his privacy, would have been useless. “I’m a fatalist, Fraulein McGary. Anyone with a rifle, telescopic sights and good aim in one of the chalets up here, “ Hitler replied, pointing to the widely scattered houses on the hill sides around them, “could pick me off as I walk. Or they could wait for me in the village square where I frequently walk as we are today. Still, I am not entirely defenseless. Let me show you. Do they have snow in England? Did you make snowballs as a young girl?” he asked with a smile. “A snowball has no other purpose, Herr Hitler. I pack a mean snowball and I have both a good arm and a good aim. Would you like to see?” she asked with a grin. Mattie reached down and began to pack a snowball wondering how in bloody hell she was going to work this into her story. When she finished, she held the snowball out for Hitler’s inspection. Mattie reached back and threw the snowball high in the air in front of them. Then, she watched in amazement as Hitler swiftly produced a Luger automatic pistol from the pocket of his great coat, extended his right arm straight out and fired. The snowball exploded in a spray of white. Hitler’s eyes narrowed. “What do you mean ‘incredible’? You think that was luck? That I can’t do it again?” he asked, the Luger now held barrel down at his side. “Oh, no. Of course not. I was simply admiring your marksmanship,” she replied. Mattie did; she threw it; Hitler fired; and the snowball again burst apart in mid-air. He was obviously a crack shot, she thought, and needed no introduction to the new triangle stance which had improved her accuracy after Robbie Rankin had taught it to her. After that, they walked along in silence. As the snowball exhibition demonstrated, the Nazi leader was in a good mood and showed no signs of displeasure at their interview or some of her tough questions. And he shouldn’t, she thought, because except for his chilling counter-threat against the Jews, he had fielded her questions fairly well, questions she was sure he did not regularly receive from the German press. Moments later, she heard the sound of a motorcar and watched as Hitler’s Mercedes with its black top and windows up passed them. “Thank you. His name is Bourke Cockran. I introduced him to you at the Hotel Continental last June.” Mattie said. You know, she thought, that time when you were supposed to meet my godfather Winston and you stood him up. Yeah, right, Mattie thought. And the “tall, blond and physically fit” snake serving as the number two man in your precious “loyal SS” is up to his neck in a plot to kill you. Hitler laughed at his own joke and Mattie joined in, but not for the same reason. She had heard the joke, but in the version she heard, it had been ‘as blond as Hitler’, not Himmler. “Evocative of Ken Follet and Steve Berry at their best, The Parsifal Pursuit is a thrilling ride through pre-World War II Europe, a masterful page-turner you won't soon forget!” D.E. Johnson Award-winning author of the historical mysteries The Detroit Electric Scheme and Motor City Shakedown. 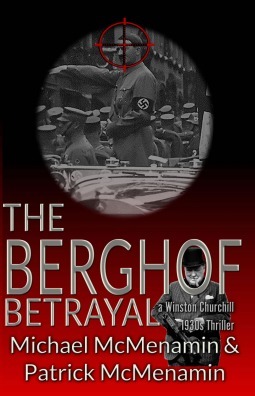 "Vivid portrayal of Churchill and unusual insights into Hitler's character, a fast-paced thriller that is hard to put down." Richard Langworth, Author of Churchill By Himself. 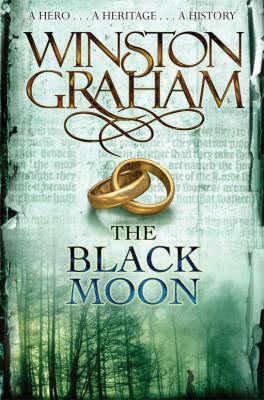 “This series set in America and Europe during the 1930s gets better each time out. The story about secret experiments on twins is both chilling and irresistibly entertaining.” Les Roberts, Past President, Private Eye Writers of America. “The McMenamins have once more successfully woven together history and fantasy in a dramatic thriller.” David Freeman, Editor of Finest Hour, The Churchill Centre Journal.